The Creator Gods from Pleiades, Arcturus and Andromeda came to Earth to build the Pyramids, guided by the Galactic Federation, to make them as telephone devices to connect with them. They has Merkaba tops, but because they were distoyed by the dark forces, we are given new devices to use the ancient technology in communication and in raising our vibtarion in different forms of Light Language. The Light Superfashion is a way to apply the Sacred geometry and pyramid science in a modern and holistic way to dress all whole bodies. 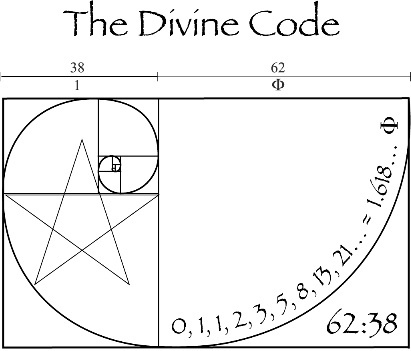 Sacred Geometry is a number system based on the Fibonacci series and pyramid structures. Mai Niemi fashion label is known for the nature´s geometrical forms, vivid colors, movement, symbols and healing multilevel energies. But how did I begun to create using the new kind of patterns? ”It all happened in 1999, Sunday midday May 2nd. I had just begun my feng shui studies and was into energies. I was relaxing and lying on my bed when suddenly a huge wave went through me shifting my consciousness in an instant to what was to change my whole perception of design, my work, my life. The download broadcast lasted that day for 3 hours that installed the new perception into my mind and work. I also became conscious of symbols I had been using in my designs. It was truly a big bang, not a faint signal. I heard it and felt to react immidiately. I left everything I had worked on before to start a new design work, what I later undestood was for the new sustainable fashion world. After that day, the information kept coming for 3 week, 3 month and that year intensly and is still guiding my work every day. I kept writing down the informations, instructions and symbolic maps down I kept receiving. I did not understand much then, but somehow I knew I had to listen and make notes so that maybe later I would also be able to understand. Unsure what to do with all this info and new ability, I repressed it for a long time. The only people I told about it were my fengshui collagues who were aware energies. I was afraid I was labled as a weirdo. But my teachers and collagues encouraged me to carry on. I began to integrate the Light Language into my fashion and tested them first among my friends and feng shui collagues. And the feed back was suprising like: This garment has changed my life! Some healers and reiki masters were able to actually see the enlarging and purifying aura around the people wearing these magical garments. Light Language is part of our evolutionary stage on an evolving earth. The purpose of the codes were to raise the consciousness on Earth by fashion and that the wearer of these Light fashion codes clothes would indeed benefit by their nurturing and healing energy carrying the vibration of uncoditional that will also open the DNA. We are learning again to connect to subtle realms by using more our right side of the brain in creative ways. And creativity increases the vibrational flow. Little by little I was encouraged to start to talk about my new fashion. I became aware of that the information was multidimensional and is coming from Cosmic Fashion Council located in Pleiades Thiaaoba planet, where everyone already is in the Messianic or Buddhist consciousness level. The transmissions and the codings also come from the angelic realms, the Divine Feminine, from elemental realms of elves and fairies.